It has been raining almost continually for a week. I've been wearing my pretty-but-leaking faux leather boots and have ended up with wet feet almost everyday… I'm in desperate need of suitable season-appropriate footwear! Anyhow, as a result, I've developed a mild case of rain boot obsession. 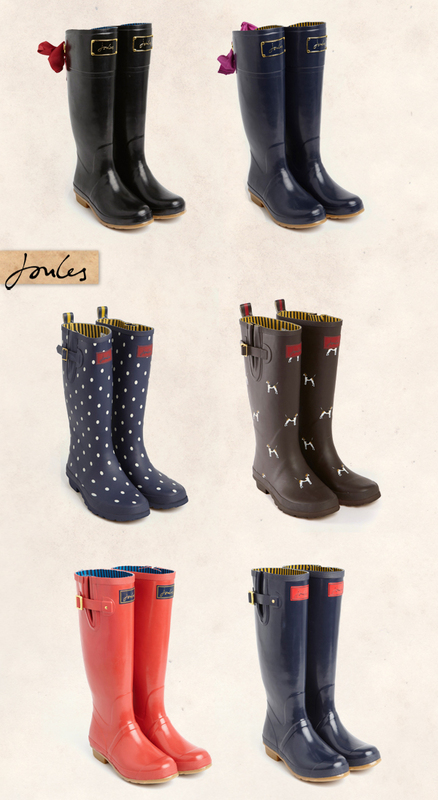 I remembered Joules, a british brand that sells the loveliest women rain boots, from spotting their adorable bow wellies on Pinterest last year. Wouldn't they be a perfect way to face the rain with style and feminity? And I'm awww-ing at the beagles pair, that would add such a sweet and fun element to a dreary rainy day. Oh well, all their range of womens wellies are delightful. Time to update my shoe closet! Oh my gosh these are SO cute! I've only got one pair of rubber boots and they are ugly old worn out army green ones. Definitely added to my wishlist for fall! Those are really cute, I could wear them in NYC. Um yes please! I love beagles and the boots with the ribbons are super cute! I need the Beagle ones. They're all so perfect! That last pair though - it's going to take a lot to resist buying them right now. Adorable beagle boots! It's so funny but actually chic at the same time! 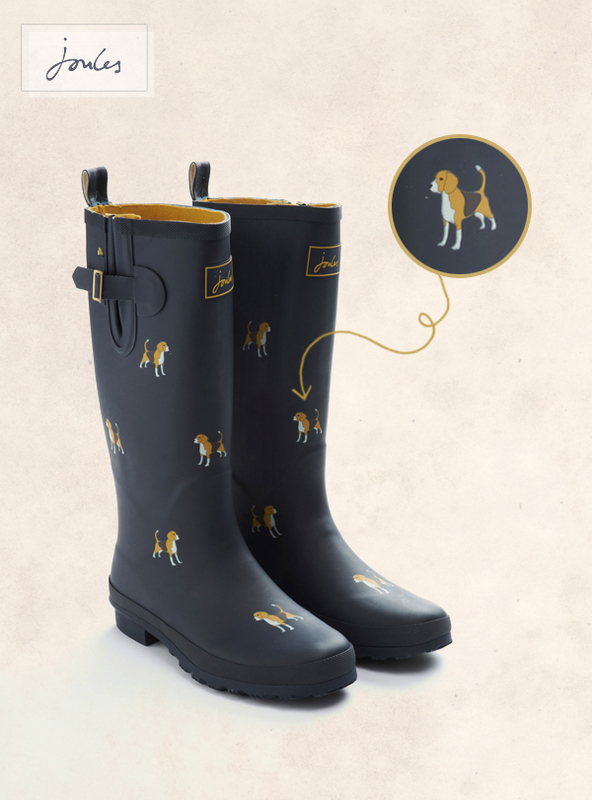 Is there a link to the navy beagle boots? I need them!! Thanks so much for your sweet comments! I'm so glad you enjoyed these foxy finds. Looks like we all love these adorable creatures!